I'm working through Wednesday and although it's only Tuesday, it's proving to be a long week. It's hard to work when all you want to do is drink egg nog and play with new gifts. Speaking of gifts, I bought myself the Moleskin set I've been wanting for so long. They're even better in person and I am not above treating myself for the holidays! 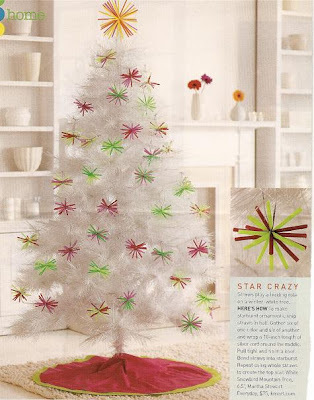 Previous holiday decor ideas can be found here. The shop will be closed starting tomorrow 12/23 and will reopen 12/28. 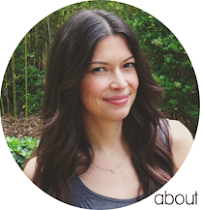 I'll be adding lots of new designs and vintage pieces after my mini-vacation that I can't wait to share with you! You can still enter to win two items from the shop over at Iva Messy. Starting tomorrow, posting on the blog will be intermittent at best. As hard as it is for me to stay away from all of you, I think it's important that we all focus on our families and loved ones and take some time for ourselves. This is my 467th post in LESS than a year, which is a lot of blabbering! I definitely think a couple days off will do me well plus a small absence makes the heart grow fonder, right? Although, truth be told, I'm certainly already plenty fond of you, dear reader. lovely holiday images!! happy holidays to you. It is SUCH a hard week to work!! I can't believe it's only Tuesday morning! 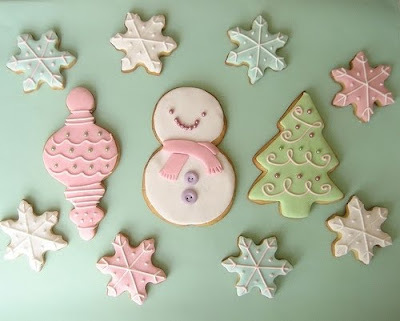 Great holiday images...those cookies are too cute. How could someone even dare to eat one?! So pretty. I'm especially loving the colors in those first to pics. Happy holidays! 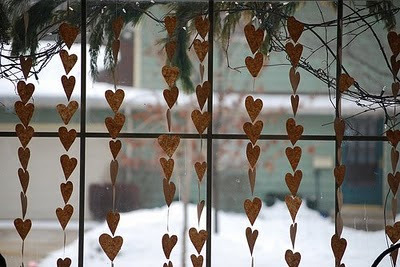 Love those hearts in the window. Enjoy your family time and break. I know I will! these are beautiful...have a wonderful christmas!!! Have a great holiday and I can't wait to see what you're up to in the new year. Love the first few green and blue ones! So soothing for the holiday (that too frequently gets hectic). THANKS on the computer well wishes. I am so relieved! I'll have new posts up today! I love the pastel decorated cookies! Gorgeous post, darling! Love the trees! The heart will definitely grow fonder :) Never worry! I hope you have a wonderful break, you deserve it! 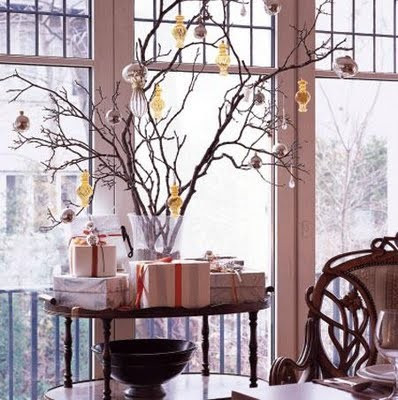 Gorgeous Christmas inspirations! 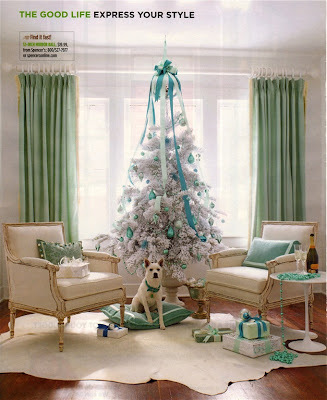 Today I'm decorating the house... so this is perfect. I have the moleskine diary in my wish list! oh i love all of these!! Those are such cute ideas! I love the last idea with the white plates! Happy Holidays Christina baby! :O) Enjoy them to the maximum!! Those photos are gorgeous, especially the one witht he little hearts... just too cute! hahaha...festive plate wall...gotta love it! Love every single one of these photos. Especially that one up top with the dog--can I have everything in that photo, including the dog please? Hoping you're having a wonderful and lovely Christmas and can't wait to see what you're up to in the new year! Here's to sipping eggnog and kissing our lovely mates under the mistletoe! Merriest of Christmas wishes to you dearest Christina! enjoy your mini vacation my friend. you truly deserve it. I wish you a JOYEUX NOEL !!!! 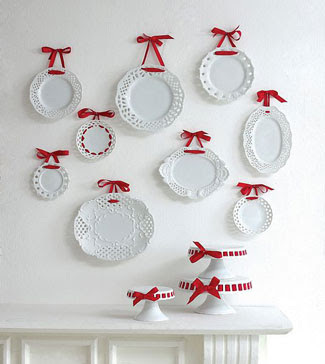 LOVE the white plates hung with red ribbon! ooh ooh ooh! love those hearts and love those plates! !